Clashes, Palestinian rocket fire and Israeli air strikes killed at least two people and wounded dozens of others on Friday in violence linked to US President Donald Trump's declaration of Jerusalem as Israel's capital. In the latest diplomatic fallout, the United States stood alone as, one after another, fellow UN Security Council members criticised Trump's decision in an emergency meeting of the world body. After a day of protests and clashes in Jerusalem and the Palestinian territories, at least three rockets were fired at Israel from the Gaza Strip, including one shot down by Israel's Iron Dome anti-missile system, the army said. Another appeared to have fallen in wasteland but the third landed in the southern Israeli city of Sderot although Israeli public radio said that rocket did not explode and did not cause any casualties. Following the first two rockets, Israel responded with air strikes on two Hamas military facilities in the Gaza Strip. The Hamas-run health ministry in Gaza said 14 people were wounded from the strikes. Earlier in the day, two Palestinians were killed in clashes with Israeli forces along the fence dividing the Gaza Strip from Israel -- the first deaths in the protests over Trump's decision. Dozens of others were wounded from rubber bullets or live fire in clashes in the occupied West Bank, Gaza Strip and Jerusalem that followed the main weekly Muslim prayers. Whether violence would further spiral in the Palestinian territories and elsewhere was being closely watched, with Friday marking a second day of unrest. Tens of thousands also protested in a range of Muslim and Arab countries, including Jordan, Turkey and Malaysia. With Trump's decision having drawn near universal condemnation, the United States saw itself isolated at the Security Council session in New York. Five European countries on the council insisted the new US policy was not consistent with past UN resolutions, including one that considers east Jerusalem to be Israeli-occupied. But the US ambassador to the UN, Nikki Haley, told delegates that the White House was serious about the search for peace. "Let me again assure you, the president and this administration remain committed to the peace process," she said. The meeting was convened by eight of the 14 non-US members of the council but was largely symbolic -- no vote on a resolution was planned, as the US has veto power. Palestinian president Mahmud Abbas hailed the international concern, according to a statement carried by official Palestinian news agency WAFA. Islamist movement Hamas, which runs the Gaza Strip, had called for a "day of rage" and its leader Ismail Haniya for the start of a new intifada, or uprising. 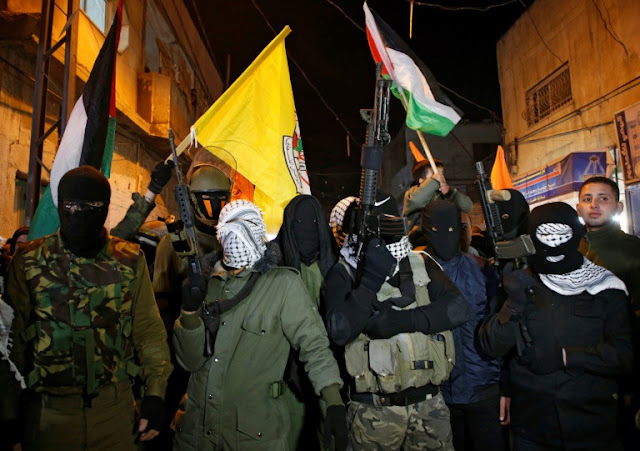 "We call on our people in all factions and resistances to continue in this blessed intifada until we achieve all our just demands," it said in a statement late Friday. The Israeli army said around 4,500 Palestinians "participated in violent riots" along the Gaza-Israel border. It said that troops shot at "dozens" of what it said were ringleaders of the disturbances along the frontier, but did not specify how many were wounded. In the West Bank, thousands of Palestinians also took part in "violent riots" throughout the territory, with 28 Palestinians arrested and about 65 wounded, the army said. It did not elaborate on the type of injuries. Trump's announcement has brought a worldwide diplomatic backlash, though Israeli Prime Minister Benjamin Netanyahu has lavished praise on the president and called the declaration "historic". Trump said his defiant move -- making good on a 2016 presidential campaign pledge -- marked the start of a "new approach" to solving the Israeli-Palestinian conflict. But many analysts question how a fair deal could be reached by granting such a major Israeli demand while seeming to require nothing in return. Israel has long claimed all of Jerusalem as its undivided capital, while the Palestinians see the annexed eastern sector of the city as the capital of their future state. While the declaration may mean little immediate concrete change, it risks setting off another round of bloodshed in the turbulent Middle East. Muslim and Middle Eastern leaders, including key US allies, have expressed alarm over Trump's decision to break with decades of precedent with unpredictable consequences. Palestinian leaders have been so outraged that they have argued it disqualifies the United States from its traditional role as peace broker in the Middle East conflict. "If these are the signs of the ultimate deal, God knows what the deal is going to be," he said. The declaration is sure to weigh heavily on an upcoming visit by US Vice President Mike Pence. He was due to meet the Palestinian president later this month but a senior member of Abbas's Fatah faction said this would not now happen. "The American vice president is not welcome in Palestine. And President Abbas will not welcome him," Jibril Rajoub said, although the Palestinian leader himself has not made similar comments. A White House aide said Pence "still plans to meet with Abbas as scheduled", and "believes it would be counterproductive for him to pull out of the meeting". 0 Response to "Two Palestinians dead in 'day of rage', US isolated at UN"